Over 40 years alot of things have changed, we have different equipment, more river destinations, more vehicles but our commitment to exceeding our guests expectations has not. We continue to pride ourselves in providing memorable outdoor experiences that are CLEAN, SAFE and FUN. Outdoor experiences should be accessible for everyone and we strive to provide the best equipment, river trips and service to make this possible. This year we're offering free seat backs on both canoes and kayaks. And, as always, kids canoe for free! Join us in 2018 and be a part of the history of Hocking Hills Adventures! Departure is One Hour before dust. Fall in love and reconnect again with your partner. Imagine canoeing under the bright full moon with the river current gently pushing you along. Night time canoeing is a surreal experience. 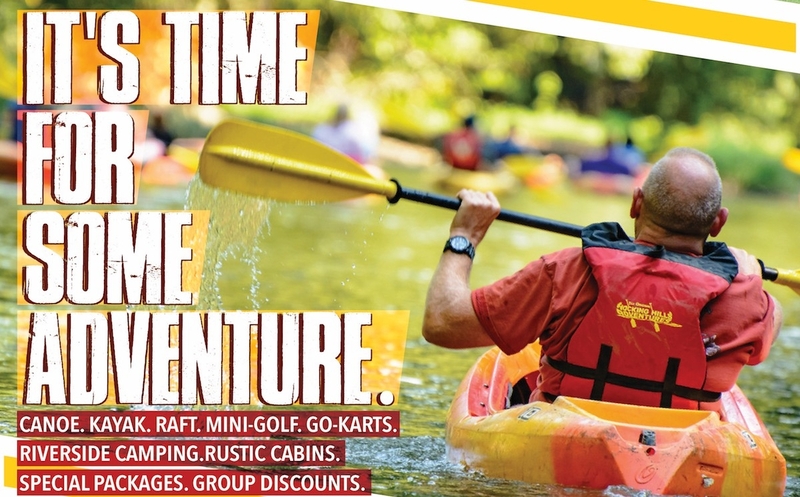 Explore the river with your spouse, paddling in and around some of the most scenic sections of the Hocking River. You are allowed to bring you own coolers (no Styrofoam coolers or glass bottles please) and stop for a picnic on one of the pristine river beaches. In order to celebrate your amazing relationship we provide a complimentary glass of wine to you and your partner. We also provide live entertainment at the conclusion of your trip, it all comes together for an amazing night. Trip Details - Moonlights Tours are scheduled to depart roughly an hour before dusk. The trip launches at our Crocketts Run launch and concludes at the canoe livery landing. Plan to be on the river about 1-2 hours. Prepare to paddle the first hour during the sunset and the second hour under the full moon. Plan to stick around after the trip for live music, wine and smores. 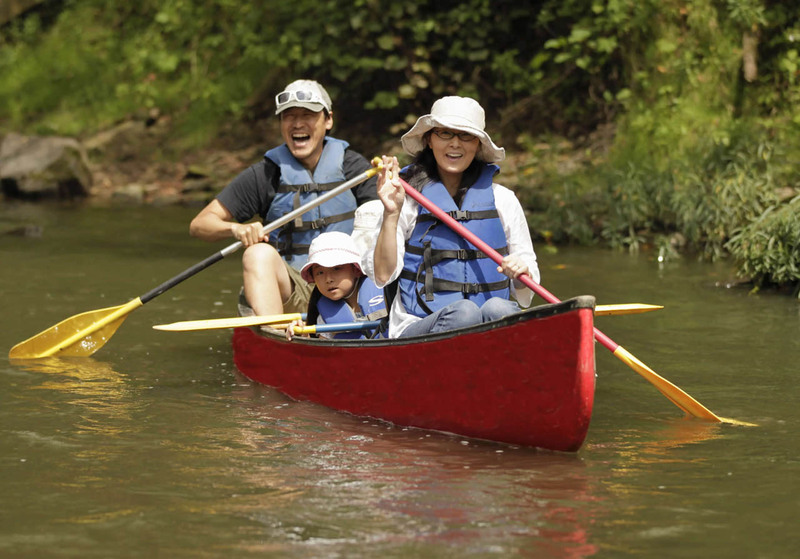 A canoe can hold up to 2 adults and 2 children under 10. There is always something unique happening in the Hocking Hills. Join us for a fantastic way to enjoy the pristine Hocking Hills scenery at night. Night time canoeing is a unique experience. The Hocking River is calm and peaceful before the night fall. Experience the Hocking River as it quietly settles in for the night. The tiki torch will help lead the way, but do not only use your sense of sight. Let your other senses guide as you will find something surreal about the water, the trees and the surrounding wildlife. Trip Details - Flaming Torchlight Tours are scheduled to depart roughly an hour before dusk. The trip launches at our Crocketts Run launch and concludes at the canoe livery landing. Plan to be on the river about 1-2 hours. Prepare to paddle the first hour during the sunset and the second hour under the full moon. Plan to stick around after the trip for live music and smores.